The Walking Dead is back in a big way. After the massive season 7 premiere that finally revealed who Negan's victims were, the show is arguably as big as it has ever been. It has helped to propel zombies into mainstream pop culture in a big way, but legendary zombie filmmaker George A. Romero isn't exactly a fan of how that has unfolded. The iconic director recently spoke with Indiewire and of course, they talked about zombies. If you're wondering why you haven't seen George A. Romero make a zombie movie for a while, properties like The Walking Dead may be to blame, at least according to him. Here is what he had to say. "Now, because of World War Z and The Walking Dead, I can't pitch a modest little zombie film, which is meant to be sociopolitical. I used to be able to pitch them on the basis of the zombie action, and I could hide the message inside that. Now, you can't. The moment you mention the word zombie, it's got to be, 'Hey, Brad Pitt paid $400 million to do that.'" The Walking Dead didn't necessarily start out as a massive, hollow spectacle and in a lot of ways it has remained a character driven thing, but it is definitely a massive departure from what George A. Romero is known to do with his zombie movies. His first zombie movie, the classic Night of the Living Dead, remains one of the best horror movies of any kind ever made, but it is very much a movie with an underlying message and doesn't focus much on the macro aspects of a zombie outbreak that something like World War Z does. In the interview, he also says he had a sequel to his last movie Survival of the Dead in mind, but ended up having trouble getting financing because things like The Walking Dead got so popular. I had a sequel. I was ready to shoot. In 2007, "Diary of the Dead" all of a sudden made money. I was blind-sighted by that. One of the producers said, "Let's make another one quick." I didn't know what else I could talk about. "Diary of the Dead" talked about how social media is haunting us today. I didn't have anything else to talk about. So I decided to go back to the original premise of misunderstanding and people not being able to see each other's point of view. I said I'll do this one as a western and the next one as a noir. So did the western, nobody liked it, and the other one fell away. Then, all of a sudden, here came "The Walking Dead." So you couldn't do a zombie film that had any sort of substance. It had to be a zombie film with just zombies wreaking havoc. That's not what I'm about." There are few people that have impacted a sub-genre of film in the way that George A. Romero has with zombie movies. Outside of Night of the Living Dead, he also directed the original The Crazies and Dawn of the Dead as well as Day of the Dead and Land of the Dead. So it is definitely a shame if something like The Walking Dead is keeping him from making another zombie movie. It is hard to imagine that if a director of his caliber had a good idea that he couldn't find a home for it. In the interview he touched on the idea that he doesn't need a massive budget to get his type of zombie movies made. Perhaps someone like Blumhouse could step in and give Romero some cash to shoot another zombie flick? The fan base for The Walking Dead is about as rabid as the zombies portrayed in the series, so sadly for George A. Romero, the show probably isn't going anywhere anytime soon. The entire seventh season still has to air and AMC has already renewed the show for an eighth season as well. To perhaps add insult to injury, Brad Pitt is still trying to make World War Z 2 happen, so there's that as well. 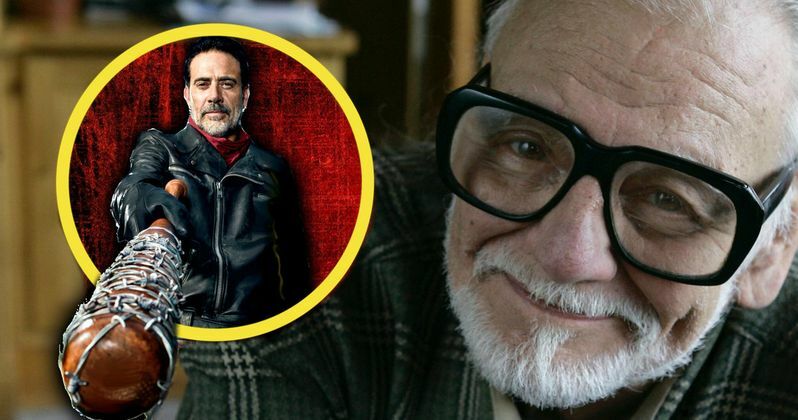 Maybe Robert Kirkman and AMC could reach out to Romero to direct an episode or two of The Walking Dead next season to bring his flair to the show? Fans would probably love the idea and he clearly isn't too busy at the moment. Just a thought.